Right to Education is a Right Step in Wrong Direction. 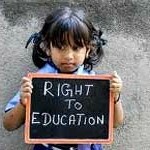 Recently the Honorable Supreme Court of India uphold the constitutional validity of Right to Education. Right to Education mandates reservation of 25% seats for economically disadvantaged. Only exception is Minority Schools both aided and un-aided. In my opinion, Supreme Court judgement is a serious setback to education reforms in India. Free and Compulsory education was introduced in India 64 years back but unfortunately the basic objective is not yet achieved. On papers, the intention behind Right to Education is to bring social parity but motive is more political than social welfare. Sometime back, I wrote an article Education – Problem or Solution in which i highlighted the degradation and devaluation of Indian Education System. Through Right to Education Act, The state has accepted the fact that “Quality of Education” in Govt run schools is far below standards. Though its a known fact that most of students studying in Govt Schools can’t compete with students in Private Schools due to very poor quality education. Today even poorest of poor family aspire to see their kids studying in Private schools. In newspapers, the supreme court judgement on Right to Education is linked to financial burden on private un-aided schools but Right to Education will have long term repercussions on Indian Society. Besides social challenges there are practical difficulties in implementation of Right to Education. Right to Education is positioned to provide Quality Education to Economically Disadvantaged society. Like Caste Reservation, Schools will increase uptake by 33% to reserve 25% seats for economically disadvantaged section. Basic question is whether Right to Education address the issue of infrastructure and resources to provide quality education to additional 33% students. Answer is NO. Existing system has its own limitations. On what basis 25% figure is arrived, no one knows. Implementation of Right to Education without upgradation of existing infrastructure will further deteriorate the quality of existing education system. Currently political influence is very high in School Admissions. In Delhi, it is very open and but obvious. I can challenge if anyone prove that even a single admission is done based on merit in reputed schools. Right to Education will be used by politicians to achieve their political objectives. In-fact last year when Kejriwal formed Govt in Delhi, the buzz of the town was that Biggest challenge for Kejriwal at that point was not Corruption but how will he handle School Admission process in Delhi. Sarva Shiksha Abhiyan (SSA) is Government of India’s flagship time bound programme making free and compulsory Education to all the Children of 6-14 years age group, a Fundamental Right. Sarva Shiksha Abhiyaan has not delivered desired results despite huge spending on the programme. As SSA was not able to achieve its objective therefore Right to Education is a next logical step to involve Private schools in Social Welfare Program. In short, un-aided Private schools will share the burden of not so successful Sarva Shiksha Abhiyaan. Any reservation based on Caste or based on social strata cannot bring Social Parity. The caste based reservation which was originally implemented for 10 years cannot bring social parity even after 64 years than how can we expect the same from Right to Education. In western countries, the concept of Socialist State is interchangeable with Communist State. Loosely it is defined as to bring social equality in society by making rich poorer and vice versa so that everyone is equal in society. The role of state is not to bring social equality but to provide equal opportunities to all. Providing equal opportunity does not mean that every one will get admission in IIT’s and IIM’s but to provide adequate resources to compete. It is already happening as Govt is providing scholarships to poor students based on Merit popularly known as “Wazifa” (Urdu Word). Even large no of corporate houses are also providing scholarships to poor students. In the name of social parity, we can convert all the bogeys of a train into general class. As we know education is business. Right to Education will bring Subsidy component in education sector. Though Right to Education mandates that State will fund the expenses of free and compulsory education of the children belonging to weaker sections who are admitted to a private unaided school. At the end of the day, it is Tax Payers money used for social welfare. Secondly, State funding is indirect e.g. Land at Concession rates to school which will not help to recover complete cost in long run. Thirdly, any additional financial burden on schools will be passed on to other students by increasing fees. Currently we have Govt Schools in every village, Taluka or District. There are no efforts to revamp the existing set up to provide quality education. Rather improving existing set up, we are burdening the setup which delivering good results. Its like attaching a slow passenger train running @ 40 Kmph to Bullet train @ 300 Kmph. It will slow down Bullet Train & both will be running at same speed of 80 Kmph. We have army of Govt School teachers who are now liability for Govt. as they can’t deliver results. Why don’t we bring schools under PPP (Public Private Partnership) and also cut extra flab which will reduce staff cost. In-fact some work is done in this direction known as Model School Scheme but without much success. The exposure level of students from financially marginalized society will not be at par with other students. Academic pressure on these students will be more compared to other students. It will increase stress level to catch up due to peer pressure. It calls for providing adequate resources to compete. Providing computers to financially marginalized and connecting every nook & corner of India with broadband are right steps in this direction. Right exposure through adequate resources is key to success of Right to Education. In all probability, schools will discriminate students admitted under Right to Education. Under pressure from parents of existing students, Separate sections will be created for such students. It will defeat the whole purpose. All such practical problems cannot be ruled out and are not addressed under Right to Education. The objective of this post is provide realistic counter view and highlight the social & practical challenges of Right to Education. For successful implementation of Right to Education, it is critical to address above mentioned concerns. Right to Education is a myopic view towards bigger problem. We should focus more on delivering quality education by providing adequate resources and upgrading existing infrastructure. All section of societies should be provided equal opportunity & resources to grow rather providing undue advantage to one section. Merit should be the only criterion to succeed if India want to become “Super Power” in 21st century.